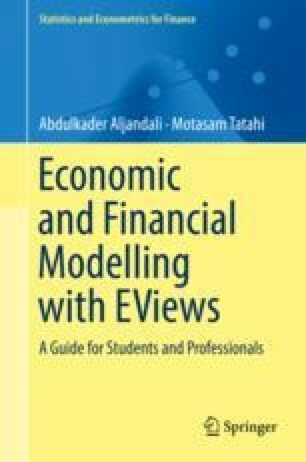 EViews is an interactive computer programme for statistical and econometric analysis. With EViews you can quickly develop a statistical relation from your data and then use the relation to forecast future values of the data. Note that Eviews cannot be used for financial analysis (e.g. annuities, NPV, IRR etc. ), simulation and cost analysis.